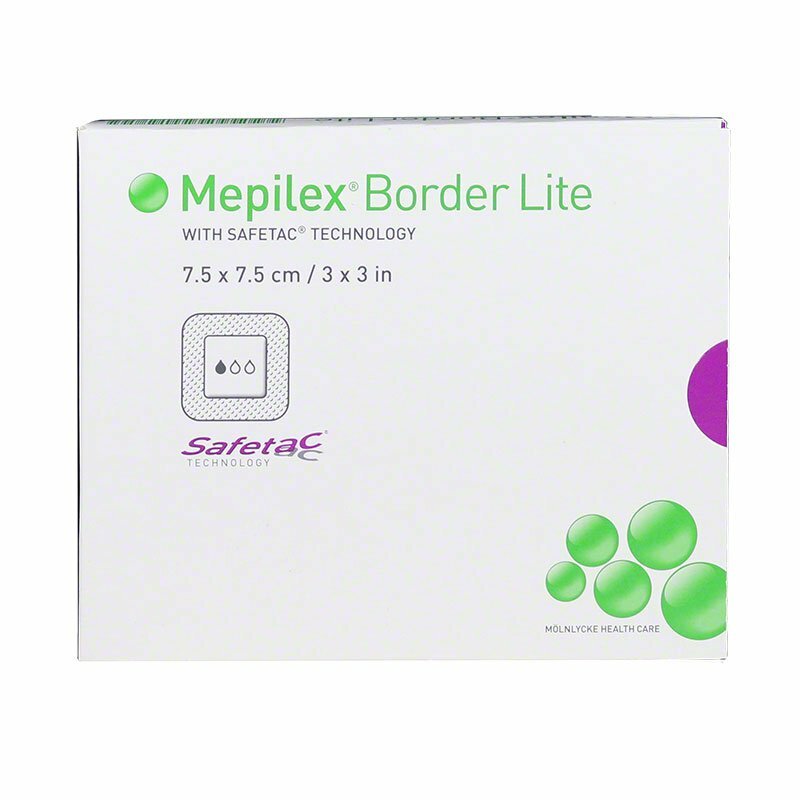 Molnlycke Mepilex Border Lite (3" by 3", part number 281200) is a thin, all-in-one foam dressing for lowly exuding acute or chronic wounds. It is very thin and discrete, and shower proof! Great for feet, toes, hands and fingers. Pack of 6 boxes (5 dressings per box). Molnlycke Mepilex Border Lite (3" by 3", part number 281200) is a thin, all-in-one foam dressing for lowly exuding acute or chronic wounds. It is very thin and discrete, and shower proof! Great for feet, toes, hands and fingers. Love them! Great for pressure ulcers. Waterproof, great protection and comfortable!